AppyStore, India’s first subscription based curated edutainment service for kids, has announced the launch of its premium mobile app. The app has videos handpicked by experts for children between 1.5 to 6 years, integrating holistic learning with limitless fun. 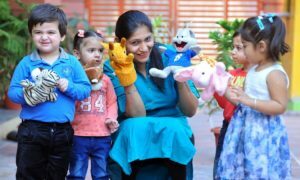 So be it nursery rhymes or videos on nature and science, parents can now ensure that their child gets a secure environment to develop and hone life skills, communication ability and learning proficiency, all in one! Certain feature help it stand out. For instance, parents can easily track their child’s progress in various learning areas based on the number of videos viewed. Moreover, the content on AppyStore is designed to enable children to acquire optimal skills and qualities in line with the irrespective age relevant developmental milestones. With 5,000 videos classified across 18 learning areas, the app offers a much better alternative to other ‘fun-only’ video sites for children. The AppyStore content is handpicked by teachers and experts in the field of child education who are in sync with school curricula in India and across the globe. The app, which works on a subscription based payment model, has introduced special three-month, six-month and nine-month plans offering unlimited videos and free physical worksheets as part of its launch offer. Parents signing up now can get trial access to the app with free home delivery of worksheets. The worksheets are designed to help the child practice the concepts learnt through the videos.